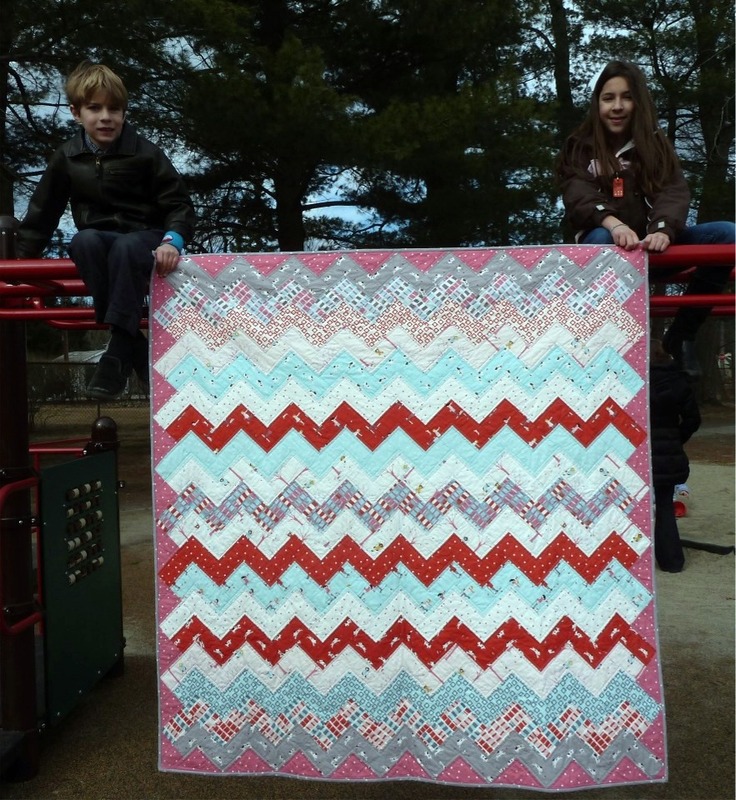 I finally got some finished shots of my Sherbet Pips ZigZag quilt. February in New England is a tough time to get a decent photograph. Even without snow on the ground it's been cold enough that my usually less than willing assistants refuse to stand outside holding up a quilt while I take pictures. 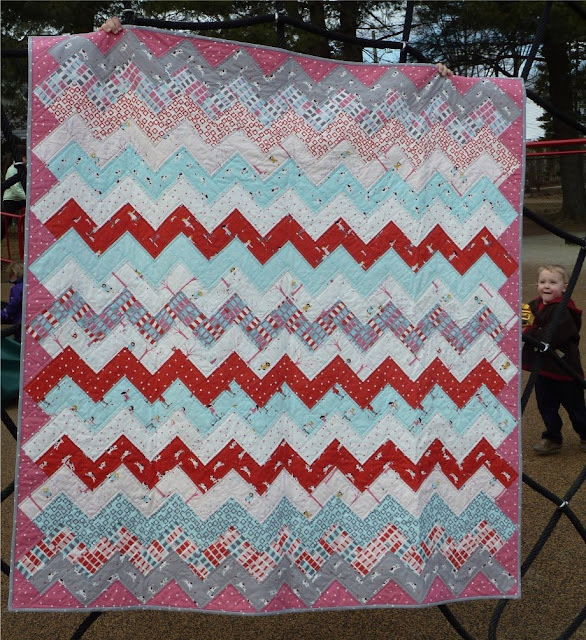 Luckily we had a nice day and I thought a trip to the playground would be the perfect spot to shoot this quilt. This quilt had a lot of "joy of quilting" moments... my plan for adding a border didn't work out, the quilting was beyond mind-numbingly tedious, and then I had that little issue with the binding: ( I don't think it will ever be one of my faves but it is growing on me. It's a great size for snuggling on the couch and the red means it (almost) matches my living room.